As the world of cinematic art anticipates what 2015 has to offer, Christian Herrera, arts and entertainment editor, takes a look back and reviews his favorite films of 2014 by genre. While big-budget films like “Avatar,” “The Hobbit,” and “The Avengers” impress with some of cinematics most epic action sequences, audiences too soon forget the rush of the real and the whole genre suddenly loses its brawl. 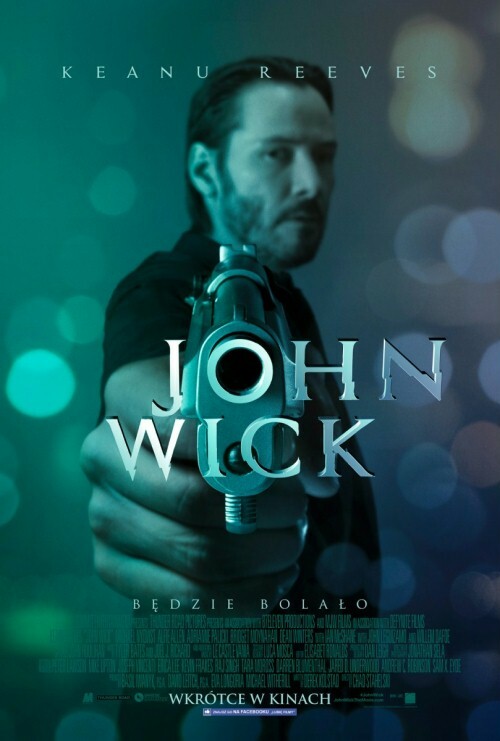 Violence becomes an art when ex-hitman John Wick impresses with each incredibly choreographed kill. In by far one of the greatest opening action sequences I’ve seen in years, when a small army of hitmen assassinate Wick’s home, in a single fight scene we are treated to an exhilarating gun, knife and fist fight. And it’s all anchored by a calm, brilliantly playful performance from Keanu Reeves. The film wasn’t even over and I wanted to watch it again. 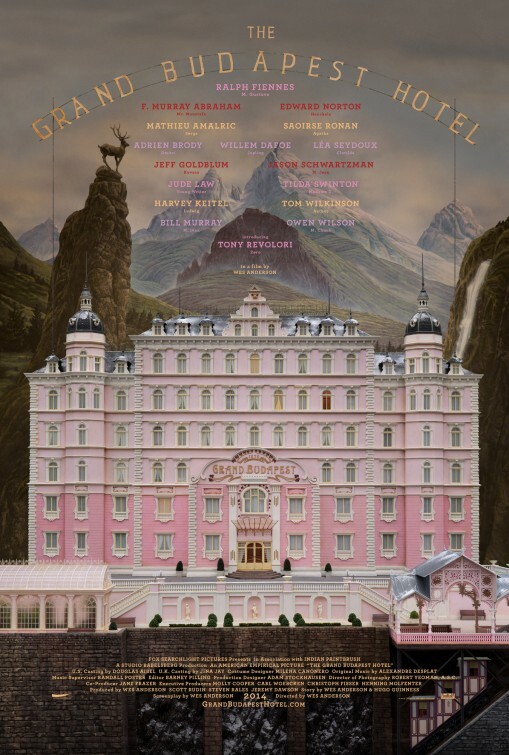 True, director Wes Anderson’s “The Grand Budapest Hotel” might be deemed a comedy first by many. I would like to argue it is more so an adventure. From the confectionary-dressed hotel, to stolen paintings, to the prison escape and back again, the film is nothing short of an adventure. As an audience, we witness M. Gustave (Ralph Fiennes), legendary concierge, and his trusted friend, Zero Moustafa (Tony Revolori) the lobby boy embark on a comically incredible journey involving the theft and recovery of a priceless Renaissance painting and the battle for an enormous family fortune. 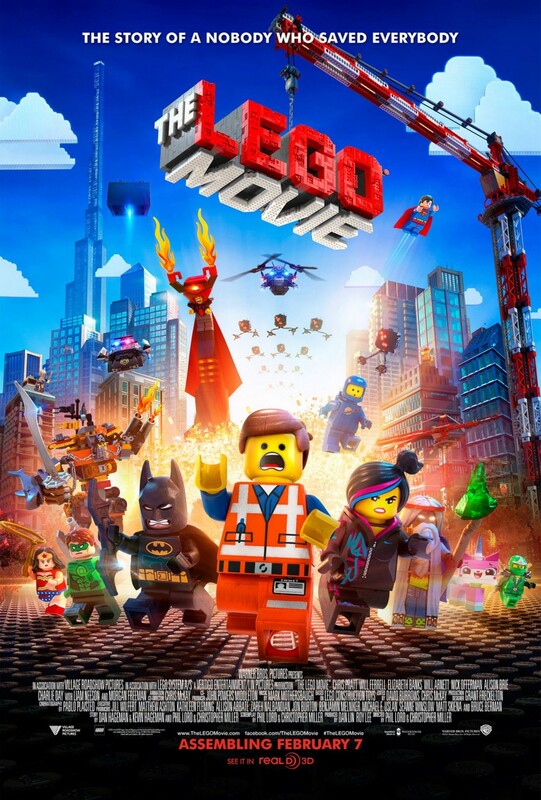 With nostalgia and clever wit, “The Lego Movie” won me over. I was suddenly thrown into a world much like my childhood where I would receive a Lego set every Christmas from my parents and eagerly flip through magazines from my Lego Club subscription. With a variety of A-lister celebrities casted to voice characters ranging from Superman (Channing Tatum) to Lord Business (Will Ferrell), my memories were brought to life in a riveting and sidesplitting cinematic experience. Admittedly, I was not a fan of the film at my first viewing. The hype that preceded the film instilled an unrealistic expectation that couldn’t possibly be met. But in a more relaxed environment with my younger siblings, I was somehow able to receive the film the second-go-round for what it was – an exciting and familiar experience for Lego veterans and an exhilarating introduction for the new generation of brick-heads. An incredible retelling of the tragic life of Stephen Hawking, the film explores the fears, trials and challenges that come with surviving amytrophic lateral sclerosis, a disease resulting in the death of neurons that control both voluntary and involuntary movements, including speaking, swallowing, breathing and walking. Determined to carry on his research, Hawking fights through his disease, eventually marrying and having three children. But the film isn’t only his story. About midway through the film, Hawking’s wife takes the spotlight. Empathetically, we watch her take on the pressures and difficulties of raising children and supporting her severely disabled husband. We quickly learn the disease affects more than the bearer. 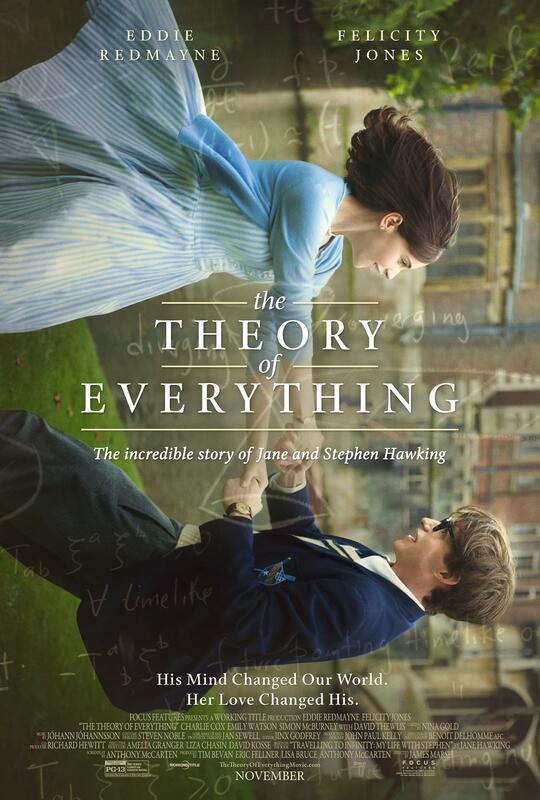 The devastation that amounts in this account is incomprehensible, but Eddie Redmayne’s astounding and undeniably Oscar-worthy performance provides a realistically intimate peek into Hawking’s past in a beautiful and complex love story. Actor Michael Keaton returns as “Batman” in the 21st century’s greatest spectacle yet – oh wait. What? “Birdman?” Um, okay, let’s try this again. 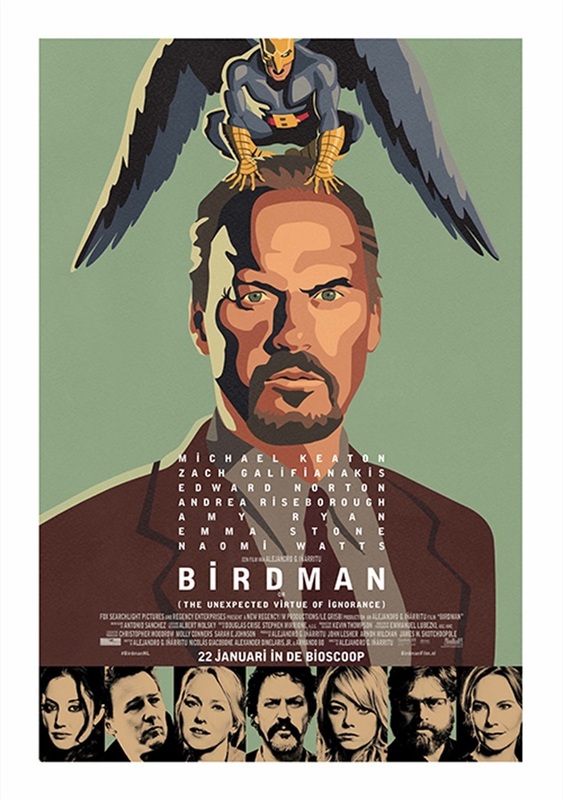 “Birdman” playfully parodies Michael Keaton who plays a washed-up actor once nationally renowned for his role for as “Birdman.” Taking a step outside of comedy’s comfort zone, the film ensues a one-shot-wonder approach to broaden its parameters of interest. Excellent execution of filmography paired with a dynamic screenplay alone equates to a consummate movie. But the hilarity and weirdness that follows is what makes for a great time. What makes a comedy admirable is not the slapstick-style humor alone, but the integration of clever cinematography, which “Birdman” articulates very well. 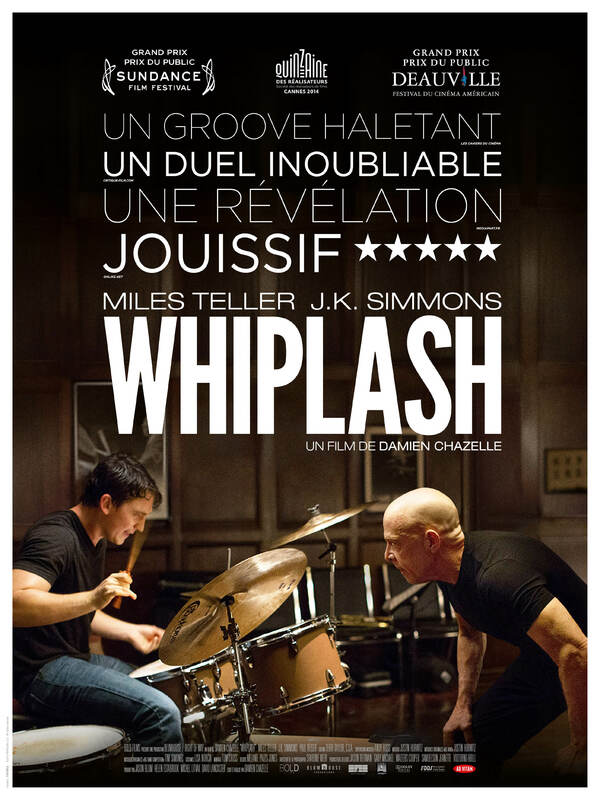 I am still uncertain about how I feel about the end – don’t worry, no spoilers – but even this cannot take away from the engrossing theatrical melodrama, “Whiplash.” In the pursuit of being recognized as one of the greats, promising young drummer Andrew (Miles Teller) is mentored by Fletcher (J.K. Simmons), a merciless music instructor who goes beyond instruction to uncover his students’ full potential. The potency of the chemistry between Teller and Simmons extends beyond face value and into a dark and thrilling story, building a sense of anxiousness amongst the audience. In an escalation unlike any other, we witness the intense progression of Andrew’s skill and extreme deviation of character. Fundamentally, “Whiplash” cries drama in such an intricate, beautiful and well-told fashion, it preaches the ideals dramas should be founded in. Feast your eyes upon the all-you-can-eat-CGI buffet. In all seriousness, it’s incredible to see a true epic from the vivid mind of J.R.R. Tolkien fully realized on the silver screen. Capturing in lively detail the tension between the five armies, “The Battle of the Five Armies” dawns the most remarkable depictions of fantasy warfare since “The Lord of the Rings: The Return of the King” (2003). 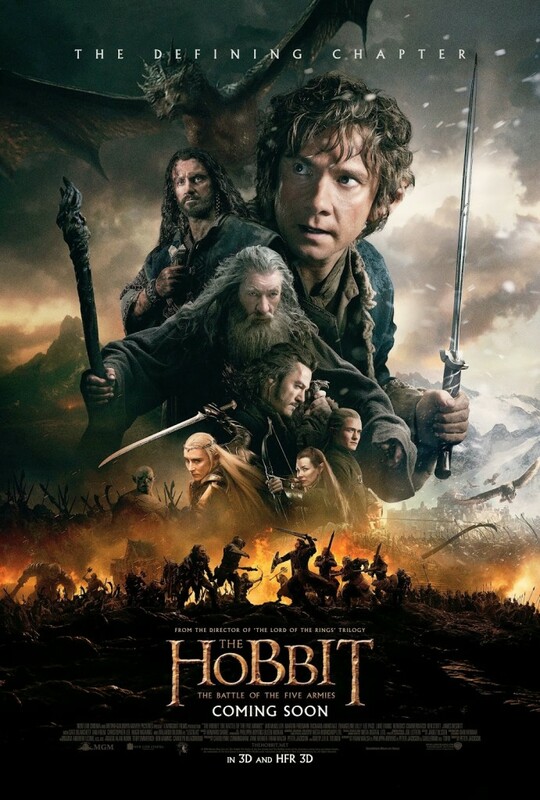 The final chapter of director Peter Jackson’s “The Hobbit” trilogy conveys an astonishing portrayal of the massive and seemingly ruthless world of middle earth. Unfortunately, the film is not without fault. There are definite instances where logic in both story and physics fail (i.e. Legolas leaping off falling debris from a crumbling bridge). The story itself is also lackluster, and the love story takes “cheesey” to a whole new level. This, of course, is no fault of Tolkien but of Peterson’s onscreen revisions. Granted, the argument is that the story was established in the first two films. However, this gives little room for the third “Hobbit” film to shine in areas outside of combat. But regardless of these few shortcomings, the film expounds on a fantastical realm in a beautiful rendering and exciting battle. Two-and-a-half hours have never gone by so quickly. I’ve said it before and I’ll say it again: true horror is found in psychological dissonance. Horror is meant to enthrall and evoke anxiety throughout. If there are breaks between the scares, tension is lost and the viewer has time to recollect, thus negating the whole point of the genre. The greatest affect a horror film can have on an audience should not be temporary, but ongoing and thought provoking. 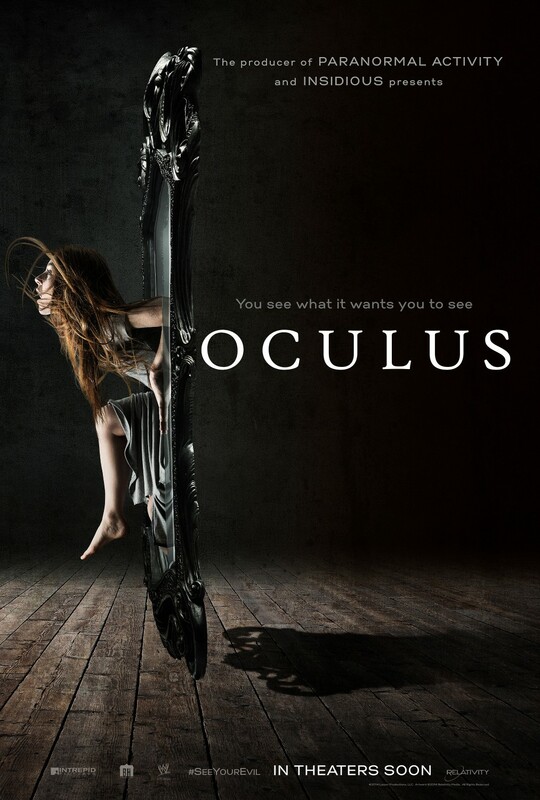 “Oculus” meets and surpasses this quintessential standard. To some, the conclusion might be predictable. But it’s the ornate presentation and dynamic storytelling that truly escalates the film to greatness. It’s also a phenomenal reminder that the greatest horror stories center on monsters not from without but from within. “Oculus” easily lands a spot in my top ten psychological thrillers. “When I think of my wife, I picture cracking her lovely skull. Unspooling her brains. Trying to get answers. What are you thinking? What are you feeling? What have we done to each other?” The entire film reflects on this opening, foundational quote. Enigmatic. Dark. Unexpected. The less you know about the film, the better. But prepare for an engaging, provocative mystery that is sure to challenge any preliminary expectations. 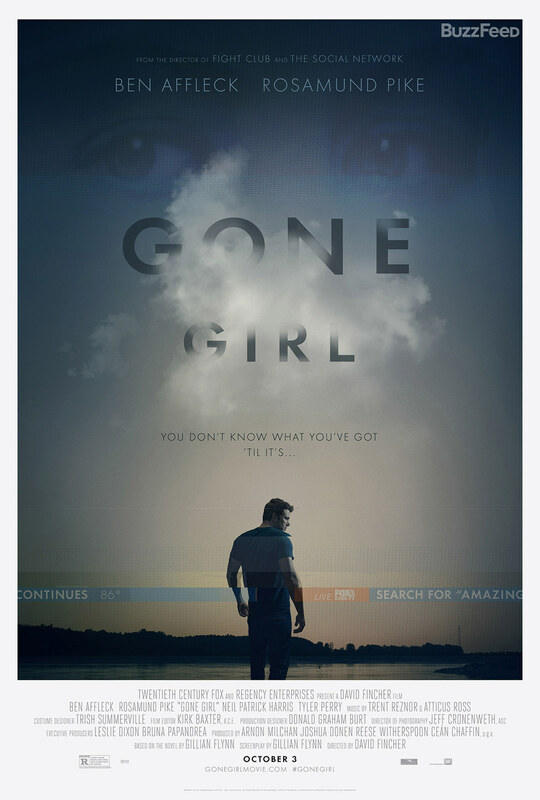 The enlightening change of pace “Gone Girl” provides is presented through the unique storytelling, which goes about interchanging between narrator perspectives, posing the question, “Who is the unreliable narrator?” From this dispute of narrative discrepancies derives a breathe-taking, complex mystery. On par with the mind-bending-finale extravaganza in “Inception” (2010) and other works, director Christopher Nolan’s delivers yet another astonishing masterpiece: “Interstellar.” While the film has received much critical acclaim, critics and scientists alike have disapproved of the fallacies in a lot of the science. Simply, this means they failed to acknowledge the “fiction” in “science-fiction.” Ultimately, creative licensing had to be taken – it’s not a documentary. On three separate occasions, you could find me in theaters watching the film. 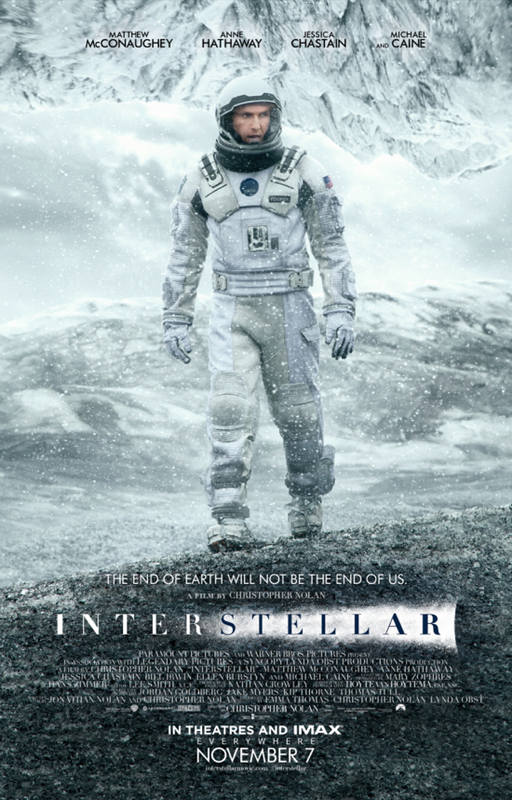 “Interstellar” is an unbelievably incredible piece of work. Its #21 spot on IMDB’s “Top 250 [Films of All Time]” is well deserved. Although not my film of the year, it is a definite runnerup. 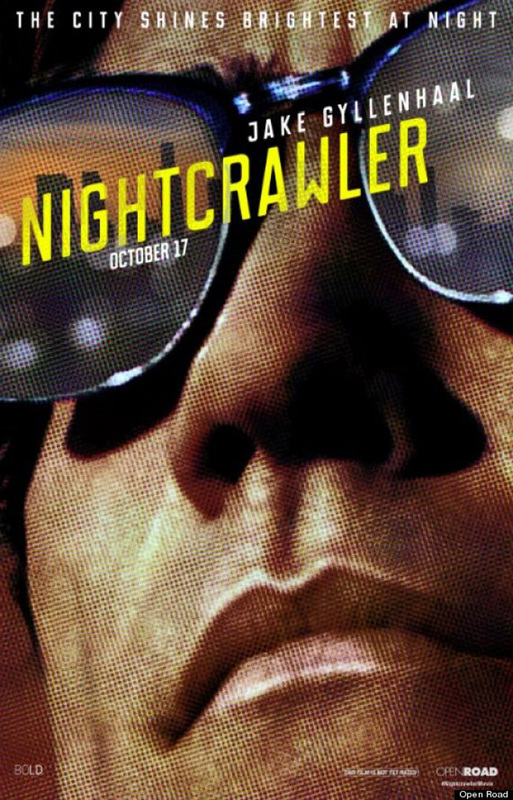 “Nightcrawler” is an outstanding slice of cinema. From a cinematic standpoint, the film outdoes itself in craftsmanship, excelling in acting, writing and visual presentation. Gyllenhaal in particular is captivating as Louis Bloom. His brilliant performance balances on the delicate line of likable and repulsing. His misadventures – although unethical – entice. Losing 30 pounds for his role is also commendable. I will always respect an actor or actress who is willing to reconfigure their weight to wholly embrace their character. The story is always in forward motion without decline in thrill. The visual presentation matches the dark nature of Bloom in both setting and tone. Inferring a psychological defect in his cognition, the film excellently plays – without explicitly detailing – with the idea of what a man in his immediate position would do with the resources he has. With no remorse for his actions, Bloom quickly become an anti-hero much akin to pop culture favorites like Walter White of AMC’s “Breaking Bad” and The Joker of DC’s “Batman” series. As the film questions his ethics, you will question your own as you enigmatically root for the character. Perhaps to a fault, I have defended director Darren Aronofsky’s “Noah.” While certainly not the Biblical version of The Great Flood you heard in Sunday School, it is a fascinating reimagining of it. Whereas the film touches base on all of the critical points in the Biblical telling of Noah, the creative interpretation makes for distinct unfamiliarity. Unfortunately, this differentiation has led to much controversy, the result of audiences consciously failing to separate Aronofsky’s Noah from the Biblical Noah. To those who couldn’t, I’m sympathetic. From the trailers alone, it appeared that the Biblical tale of Noah would be produced literally. What the film actually showcased is far from.But I believe this ambiguity allows for more poetic interpretation. 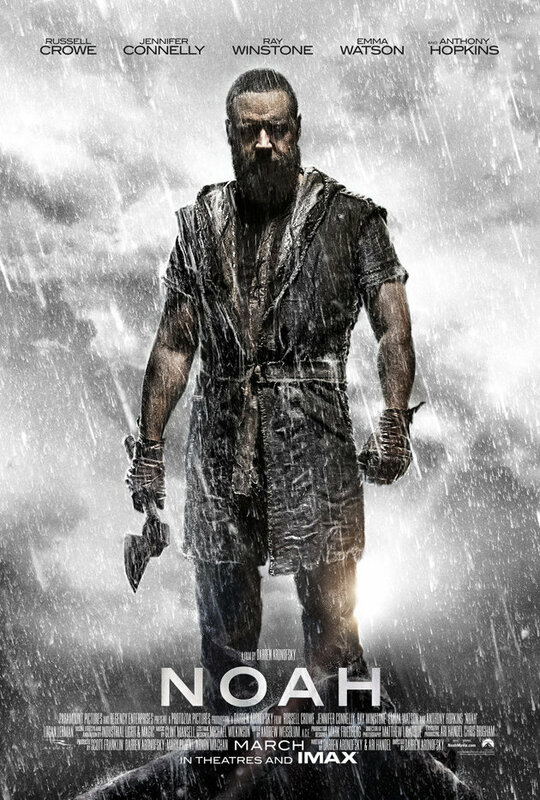 Check out my opinion piece on why I think “Noah” shouldn’t be that controversial. 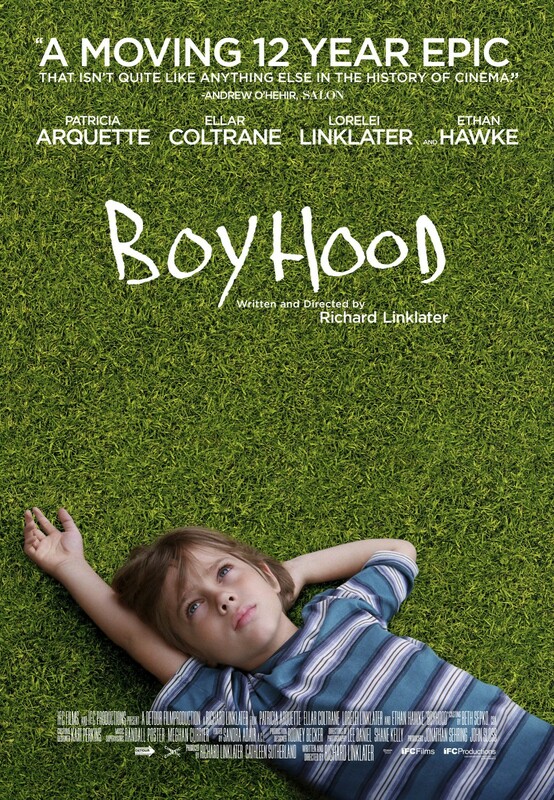 Why “Boyhood” isn’t on my list. Hands down, watching the child (and adult) actors of director Richard Linklater “Boyhood” grow over the span of 12 years is the most daring risk and phenomenal feat I’ve ever seen in modern film. However, without this stylistic approach, the film fails. I realize I am amongst the minority of critics of who have failed to see its gratification. But I believe audiences have fallen trap to its novelty and thus disregarded the film’s deviation of plot, story and coherent structure. I will admit that by parallel comparison, the film does well to capture the confusion of growing up and the disfluencies of real life. But at best, this allegory makes for an intriguing movie rental – definitely not worthy of all the critical acclaim. Take away the novelty, the film is left with bare bones. On the contrary, as with many films I’ve encountered, perhaps it simply takes a second viewing for me to fully appreciate Linklater’s work. Until then, to each their own. I love that Noah got your best film of 2014. It’s high up there. I have to disagree with the fact that Boyhood fails because its lack of dramatic plot. It is in fact why is succeeds. Life is not made up of dramatic plot moments but the smaller more nuance moments that Linklater chooses to give us hints of. I may have preferred the Lego Movie and Birdman over Boyhood, but it is the cinematic accomplishment of the year. I personally hated Noah. I stopped watching after 30 minutes. But, I know that many people (somehow) enjoyed the film. I was especially dissapointed because I’m a Russell Crowe fan. I was looking forward to a good film. Lego Movie was a very good movie, but I thought Mr. Peabody and Sherman was the best animated movie of the year. On my list, Lego Movie was fourth best (under Peabody, Penguins of Madagascar, and Big Hero 6). This is the only one that really bugs me. Did you really put “Amazing Spider-Man 2” on your honorable mentions for best movie of the year? That movie was terrible! I kept having flashbacks to “Spider-Man 3” the entire film! I felt that the film’s whole goal was to be as disgusting and horrific as possible.